Their are several reasons which are fact in corrupting of any mobile firmware. Flashing of mobile does at those stage if phone is working slow or completely break with reason of its outdated firmware. You will need to use latest firmware of your phone for flash it. Some times phone is showing different notifications. If you noticed any software malfunctions with your Vivo Y21L android device, you're most likely required to download and flash stock ROM firmware on your Y21L to permanently correct the software errors you noticed on your Vivo Y21L. And when you load stock firmware on your Vivo Y21L using any Qualcomm flash tool, your Vivo Y21L will be reset to factory defaults settings and by that, definately, your UserData will be lost including contacts, messages and others. If you will flash your phone with its latest firmware, your phone will restore in its original settings. So you will need to take a backup of your data before flashing, After successful flashing you phone will be restore in its original settings. You can restore your backup data to your phone after successful flashing. Their are several tools and boxes which helps you in flashing. If you haven't an enough experience in flashing, you will need to flash your phone very carefully. The latest firmware of Vivo Y21l has been released recently and free download links are available for download. We are always sharing free and official site download links so you can manage it easily. If you are facing trouble during download or flashing, feel free to contact us via commenting. We will help you or update download links very soon. Now you can download latest firmware of your phone from below download links. Step 1: Download the latest version Qualcomm USB Driver if already installed skip this step. Step 2: Download and extract latest version of QcomDloader Tool. Step 3: When Qualcomm drivers installed and QcomDloader is downloaded connect your device with computer. Step 4: Now you need to click on QcomDloader.exe to open it, then click on the load button and locate the firmware which is already download according to your device requirement. Step 5: Now from the setting option click on the Download Mode and select as Upgrade and TICK on the Validate Downloaded ROM. Step 6: Under the Chipset ID write the Chipset number and click on the OK. Step 7: Now click on the Start button to for flashing process. Once the process is completed it will show Green Passed under the progress. 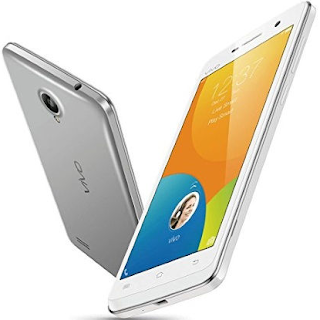 0 on: "Vivo Y21L Stock Rom Firmware Flash File Free Download"